Bryce Harper has been playing catch-up since his free agency carried over into spring training. With a week left until opening day, the Philadelphia Phillies’ big-money addition looks ready to pay off. 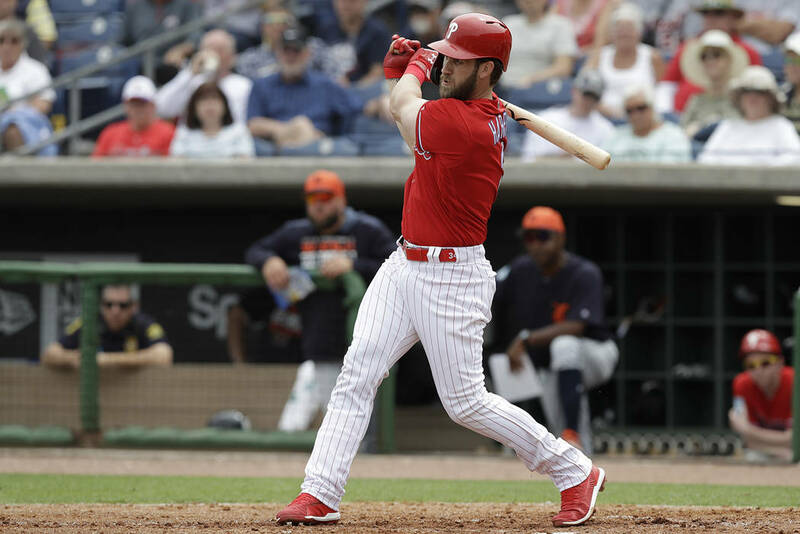 The Las Vegas High product hit his first two Grapefruit League homers, combining with fellow new additions Andrew McCutchen and J.T. Realmuto to help Philadelphia pound the Toronto Blue Jays 13-6 Thursday.